Look no further than this brand new rental home; It's time to unpack your bags! Enjoy the perks of a single-family home, community-oriented lifestyle, plus the flexibility that renting has to offer. This beautiful new construction home is equipped with a large landscaped yard, appliances, washer & dryer plus custom blinds throughout! Pheasant Hollow is located in the Hastings Public School District. The community is situated on the northeast side of the city of Hastings, and is centrally located within four major urban markets of Michigan – Grand Rapids, Kalamazoo, Lansing and Battle Creek. There is a wide array of events and attractions in the charming downtown district of Hastings, including summer concerts at Thornapple Plaza, a farmer's market and seasonal festivals. There are many popular options for dining at major restaurants and specialty cafes and pubs. 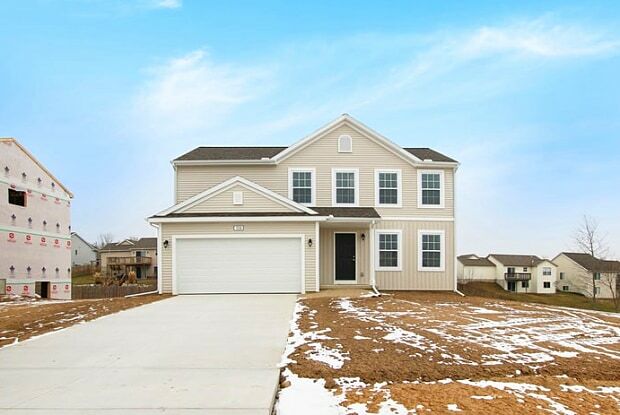 Pheasant Hollow offers several choices of home plans and daylight sites are available. The community is within close proximity to the Thornapple River, so there are many options for recreational activities including fishing, canoeing and wine tours. Check out this opportunity to enjoy an active lifestyle in a great community offering tons of charm, character plus all of the conveniences you could ever want. This floor-plan offers functionality, space, and storage. 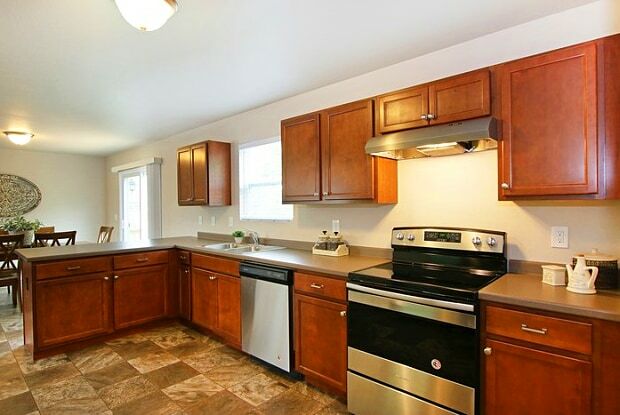 When you come in the entryway you will locate the coat closet followed by a quaint half bath. Also on the main level you will find a spacious living room with plenty of space for everyone; this flows throughto an open concept kitchen located conveniently off the two car garage. On the second floor you will find a gorgeous and roomy master bathroom with en suite full bath. Also on the second floor you with find the other spacious bedrooms, a full bath, and a laundry room. One of the biggest concerns with rentals is the high cost of utilities. Choosing a SWAN property ensures that you will save 40% versus the rest of the market due to the Energy Smart HERS rating of 58. What does this mean to you? An average annual savings of $2,224 which is the typical cost incurred in a comparable rental. This property allows self guided viewing without an appointment. Contact for details. Have a question for 623 East North Street?